More than 40% of maternity wards in England closed their doors to expectant mothers at least once in 2016, data obtained by the Labour Party suggests. Responding to a Freedom of Information request, 42 out of 96 trusts said they had shut maternity wards temporarily on a total of 382 occasions. The most common reasons given were too few staff and not enough beds. The government said closures are "well rehearsed" and it was "misleading" to say they were down to staff shortages. The Royal College of Midwives said that sometimes it was right to close a unit and divert new admissions - when the safety of mothers and babies already being treated in the hospital might be compromised, for example. But doing so on a regular basis could reflect underlying problems with the number of expert staff. The data shows that in 2016 maternity units were closed on 382 separate occasions, compared with 375 in 2015 and 225 in 2014. Some were closed overnight, while other closures lasted more than 24 hours. Forty of the 136 hospital trusts in England did not respond to requests for information. Royal Berkshire NHS Foundation Trust closed its maternity unit on 30 occasions in 2016, citing "insufficient midwifery staffing for workload"
Mid Yorkshire Hospitals NHS Trust closed its unit five times, once for 14.5 hours to "maintain safety and staffing levels"
Shadow health secretary Jonathan Ashworth said: "These findings show the devastating impact which Tory underfunding is having for mothers and children across the country. "The uncertainty for so many women just when they need the NHS most is unthinkable." 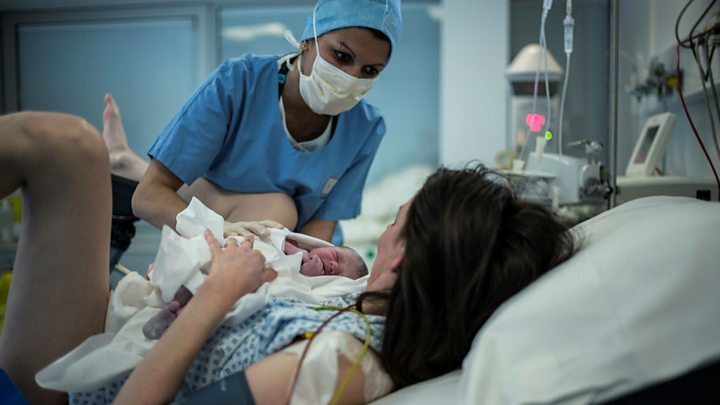 Sean O'Sullivan, from the Royal College of Midwives, said the figures highlighted the pressures on maternity services in England, where there was a shortage of 3,500 full-time midwives. "If units are regularly and persistently having to close their doors, it suggests there is an underlying problem around capacity and staffing levels that needs immediate attention." He also said it was upsetting and distressing for women to be diverted to other hospitals when they were in labour. National Childbirth Trust senior policy adviser Elizabeth Duff said it was "appalling" that pregnant women "are pushed from pillar to post in the throes of labour". "New maternity policy in England stresses the need for locally based services which must have enough midwives so that women are not turned away in labour," she said. A Department of Health spokesperson said there were now more than 2,000 additional midwives compared with May 2010. There are also 6,500 midwives currently in training. "Temporary closures in NHS maternity units are well rehearsed safety measures, which we expect trusts to use to safely manage peaks in admissions," the spokesman said. "To use these figures as an indication of safe staffing issues, particularly when a number of them could have been for a matter of hours, is misleading because maternity services are unable to plan the exact time and place of birth for all women in their care."